Traveling comes with its own complications that a good phone can solve. Keeping yourself entertained on a long trip is just one example of the issues you deal with, and not all phones can provide an ideal experience. While some can afford two phones, having dual SIM capabilities is another prominent feature, as it lets you keep your number and use a temporary one for calls while away. We tested these and numerous other factors as you'll see below, and now we can confidently recommend the following five phones for folks who travel often. Starting Price: The phone's MSRP (Manufacturer's Suggested Retail Price). While you can get these phones for cheaper at some retailers, this is maximum price stores will sell the phone for. Prices listed are for the base models of each device. GSM Unlocked: A US variant is available which supports GSM radios and isn't tied to any carrier. GSM is the cellular standard of choice for AT&T, T-Mobile, and virtually every carrier in the world not named Sprint or Verizon. When traveling outside the country, GSM phones will actually work, as opposed to CDMA phones that will have limited service in other countries. As for the "unlocked" part, this means as long as you insert a compatible SIM card, you should be able to use any carrier with the phone, including international carriers. Dual SIM: A US variant exists which supports using two SIMs at the same time. This can be either two physical SIM cards or a combination of one physical SIM and one eSIM. With dual SIM support, you can keep your main line active while using the second SIM for international travel. This way, you can keep getting calls to your regular phone number while adding a local phone number in the country you're traveling to, and the same applies to your cellular data plan. Display Size: The size of the phone's screen. When traveling, you will have to deal with some wait time. A common activity here is watching videos, and having a large screen helps for enjoying content on your phone. It also helps if you're planning to use your phone for navigation or as a boarding pass, as the larger screen will make this content easier to see. Max Internal Storage: The maximum amount of internal storage available on any US variant of the phone. Whether it is movies and music for your travels, or pictures and videos from the vacation, having a large amount of space is necessary for traveling. Since our phones now replace the GPS, camera, and portable media player, we need large storage to avoid having to delete memories. While cloud storage can help, depending on where you are, uploading data to the cloud can either be too slow or not possible, making large internal storage a must have. Expandable Storage: If the phone supports memory card to increase the amount of available storage and if so, up to how much storage. With memory cards such as microSD, you can expand the internal storage, giving you more space to store media such as photos and videos. Only a handful of Android phones support this feature but there inclusion is a big deal At the time of writing, the largest microSD card is 1 TB which means for a phone like the Samsung Galaxy S10+, this translate to 2 TB of storage if you buy the 1 TB model. Geolocation Standards: The satellite-based location technologies supported by the device. GPS is owned and operated by the American military. Other countries and regions use their own version of "GPS," including Galileo (Europe), GLONASS (Russia), BeiDou (China), and QZSS (Japan). 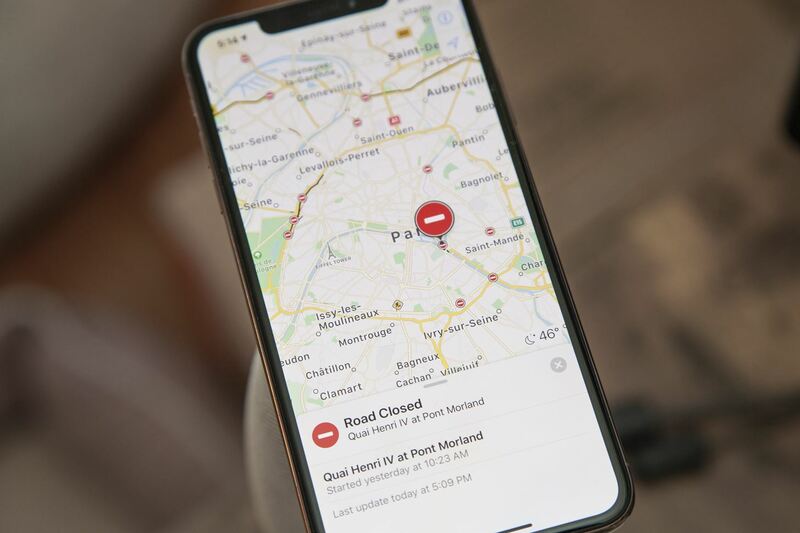 While GPS may work in other countries (it is a Global Positioning System, after all), the US government has blocked it in certain regions in the past. 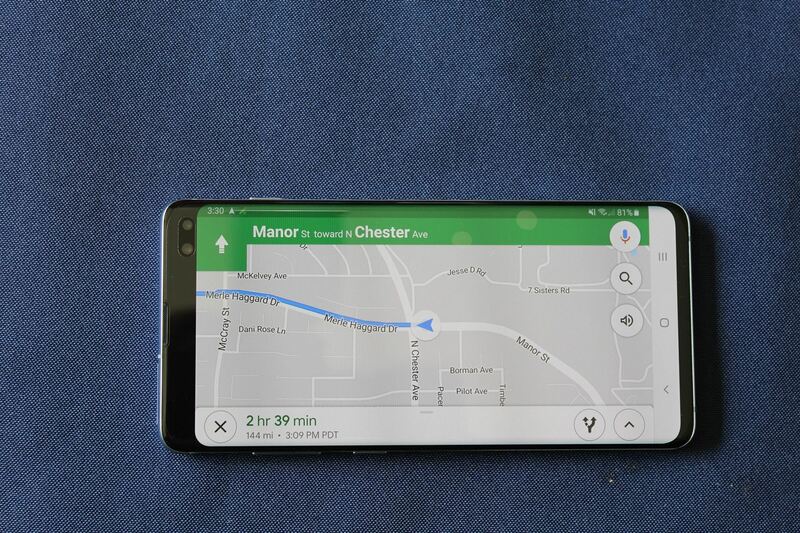 So to avoid getting stranded, you'll want a phone that supports the geolocation standard used in the area you're traveling to. Water/Dust Resistance: The dust and water resistance of the phone, depicted as an IP rating. The first number rates the phone's protection against dust and solid particulates, while the second number rates the phone's resistance to water. The higher the number the better, with the current highest protection being IP68. Rear Camera Resolution: The megapixels of each image sensor in the rear camera. Higher resolution means extra detail in photos and an improved ability to crop the image after the fact. Front Camera Resolution: The megapixels of each image sensor in the front camera. Rear Camera Aperture: The aperture (size of the physical opening) of each lens in the rear camera. The lower the number, the wider the aperture. The wider the aperture, the better the low-light performance, as more light can reach the image sensor. Front Camera Aperture: The aperture of each lens in the front camera. Optical Image Stabilization: Which of the rear camera's image sensors include optical image stabilization (OIS). With OIS, blurry photos are less of a worry, as it protects against shaky hands. Ideally, you want each of the camera sensors to have OIS to ensure that no matter which lens you are using, you are protected. Optical/Digital Zoom: The amount of optical and digital zoom provided by the phone's camera. Between the two, optical zoom is more important, as it provides you a closer look with hindering the quality of the photos, unlike digital zoom. Max Video Resolution: The maximum resolution video that can be recorded on the rear camera, and at what frame rate. Front Glass Protection: The technology used to protect the display of the phone. When traveling to an unfamiliar place, our phones often are always in our hands, helping us navigate areas and find things to do. This makes them much more susceptible to drops, which can be combatted with strong glass protection. Back Glass Protection: The type of glass used to protect the glass back of the phone. With most OEMs pushing for wireless charging, glass back covers have become more common in smartphones. Unfortunately, glass isn't as durable as metal and therefore requires additional protection. Battery Capacity: The capacity of the lithium-ion battery. Having a large battery correlates with better battery life, although exceptions do exist. Therefore, ideally, you want a phone with the largest possible battery. Fast Charging Support: The fast charging technology supported by the phone. Because travel increases your dependency on your phone, having a fully charged phone is even more important. With fast charging, it takes less than an hour. Wirelessly Charge Other Devices: The phone can charge other Qi-enabled devices wirelessly using its own battery, acting as a power bank for another device. Handy if you're traveling with a companion whose phone is low or if you use wireless earbuds. Headphone Jack: The phone includes a 3.5 mm headphone jack. While it's rare to see nowadays, being able to use a headphone jack instead of Bluetooth headsets not only reduces the power consumed by your phone, but gives you one less thing to charge. Wi-Fi Version: The highest wireless standard supported. While most phones support Wi-Fi 5 (or 802.11ac), the Galaxy S10+ supports Wi-Fi 6, a faster and more secure standard. With mobile data typically limited when traveling abroad, fast Wi-Fi is almost a necessity. Wi-Fi Calling: Whether the phone supports the ability to make calls using Wi-Fi. While this feature is also carrier dependent, Wi-Fi calling is usually counted towards your data plan. This means with enough data, you can avoid high call rates and instead use Wi-Fi to make calls. Operating Temperature: The temperature at which your phone can safely operate. Since there are places on Earth that fall on both sides of the extremes (cold and hot), knowing if your phone can survive these areas can help you decide if you want to visit. VPN: How VPNs are managed by the phone. VPNs come into play while traveling since some countries block access to certain sites or even track your internet usage, plus there's the whole issue of region-locked content. Android phones have a feature known as Always-On VPN which forces all Wi-Fi connections to goo through the VPN. iOS supports the same feature, but it requires a lot of work, including enabling Supervised mode. Without this, you can only use the VPN by manually turning it on or using On Demand mode, making it possible to forget, which can be dangerous on public Wi-Fi. Biometrics: The primary biometric authentication method supported by the smartphone. Biometrics offer the best balance of security and convenience, making them go-to method for those traveling. Apple's Face ID gets the win here since it's more secure than a fingerprint scanner. Translate Text: How many languages the default virtual assistant can translate text from. This includes both typing (in text form) and asking the voice assistant things like "How do I say cheese in Spanish?" Real-Time Image Translation: If the default virtual assistant can translate real-world text by simply pointing your phone's camera at it, and if so, how many languages it can translate. This feature is helpful when trying to read a menu or a sign in a foreign country. Real-Time Vocal Translation: If the default virtual assistant can act as an interpreter with vocal speech, and if so, how many languages it can translate from. Only supported by Google Assistant (which is available on the Galaxy S10+ and iPhone XS Max, but not the default), this feature lets you have a conversation with someone speaking a different language in real-time. Phone Tracking: The default app which will find your phone in case you lose it. This software also offers anti-theft protection, including the ability to wipe the device or remotely lock the phone. Battery Life: The estimated battery life of the phone based on PhoneArena's testing. PhoneArena measured this by running a custom web script to simulate real-world usage, with the displays set at 200 nits brightness. First, we focused on US phones only. Our audience is primarily based in the US, so we made sure each of these phones would work both at home and abroad. 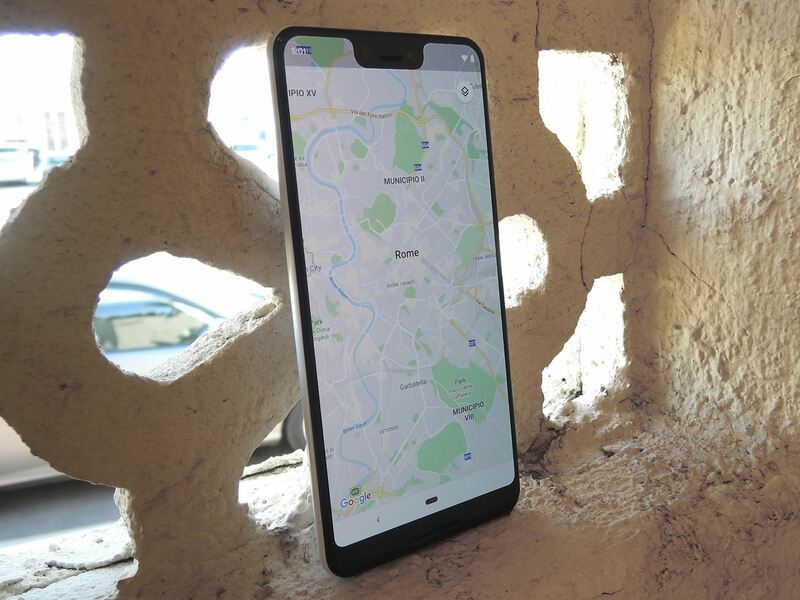 This requirement eliminated phones such as the Huawei Mate 20 Pro and Xiaomi Mi 8 which support dual-frequency GPS, a feature that enhances geolocation accuracy. Secondly, we only selected phones that were available GSM-unlocked. Many phones, such as the Galaxy S Active line, are only available through carriers. The problem with these devices is they're generally made to only work on the carrier you purchased them through. Even if you have one of these phones unlocked, it likely won't support the primary cellular frequencies used in another country or region. Therefore, carrier-branded phones were ruled out to preserve the ability to travel. We also focused on the US variants of phones. Most phones are released in multiple variants, each aimed for a different market. This even includes GSM-unlocked devices that are designed to work on multiple carriers — such phones will sometimes be tailored for the cellular frequencies in the region where they were sold. So to make sure you get optimal service while you're at home, the GSM-unlocked models we've highlighted here are the variants sold in the US. Finally, we only chose phones with definitive release dates. 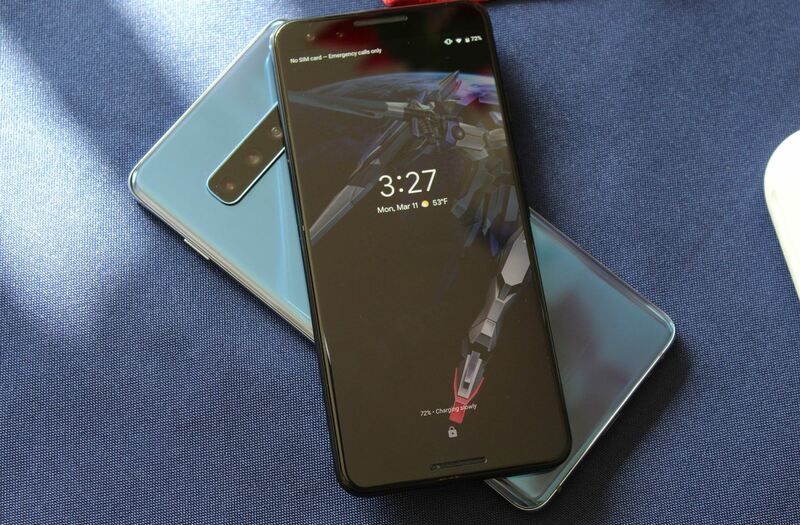 While there were many phones announced at Mobile World Congress, we couldn't include most, as their release dates were either unannounced or vague (such as "in a few weeks"). So while phones like the LG G8 ThinQ and Sony Xperia 1 could have been contenders, they were eliminated until we know the definitive day of their US release. Few phones offer a more complete package than the Samsung Galaxy S10+. It's a contender for most "best phone for" categories, and traveling is no different. It has the specs you want in a phone whether you are taking a quick road trip, a long plane ride, or anything in between. Its large screen makes watching video enjoyable and turn-by-turn navigation easier. It has more than enough storage for all the photos and videos you'll take on your trip, and absolutely top-notch cameras. And with its massive battery, you won't need to worry about finding an outlet. Based on DxOMark testing, the Samsung Galaxy S10+ has the best rear camera available on any phone released in the US. It managed to receive an overall score photo score of 114, tied for highest, and video score of 97, which is only bested by the Google Pixel 3 XL. With features such as variable aperture and Dual Pixel, Samsung provides you with all the tools you need to take the best photos. However, what's even more impressive is the variability of the cameras. We often only have one shot at a great picture, and this is even truer when traveling. Having to spend time zooming, moving back and forth, or moving the camera to capture a photo are just ways to miss out on the photo. However, with the Galaxy S10+, you have a wide-angle, telephoto, and ultra-wide angle camera for every type of picture you might need. With the touch of a button, you can quickly switch to the focal length you need for the best image, so you never miss making a memory. As for video, Samsung upped their game with their Super Steady feature. As the name implies, the Galaxy S10+ uses digital stabilization technology in addition to its OIS to keep the video fluid and steady. No longer do you need GoPro camera to record your action adventure. With the Galaxy S10+'s IP68 rating, Gorilla Glass 6 protection (with Gorilla Glass 5 on the back cover) and Super Steady, you can enjoy impressive 4K HDR10 video from your phone. But this top tier performance doesn't stop with rear cameras. DxOMark also gave it the highest overall score for its front-facing camera, managing a 101 photo score and 88 video score. 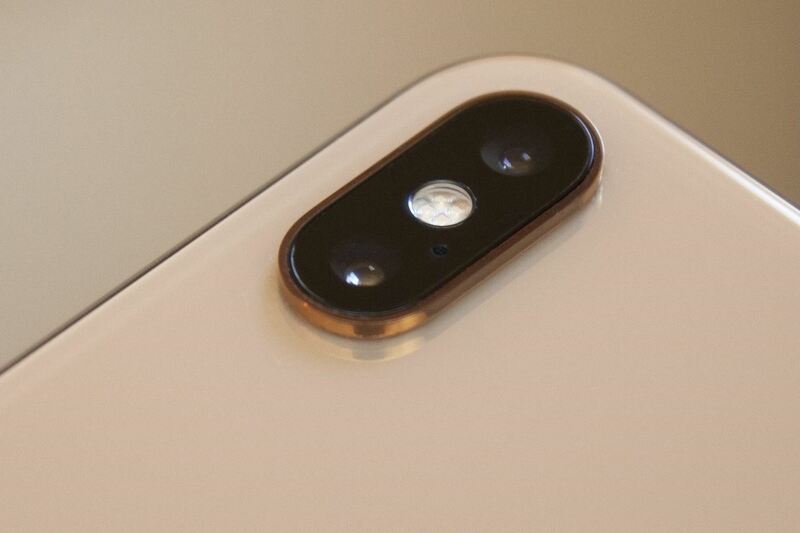 For context, the iPhone XS Max scored 81 on the same photo test with its TrueDepth camera, one largely considered among the best selfie cameras on the market. It managed to achieve such high marks thanks to the Dual Pixel sensor. 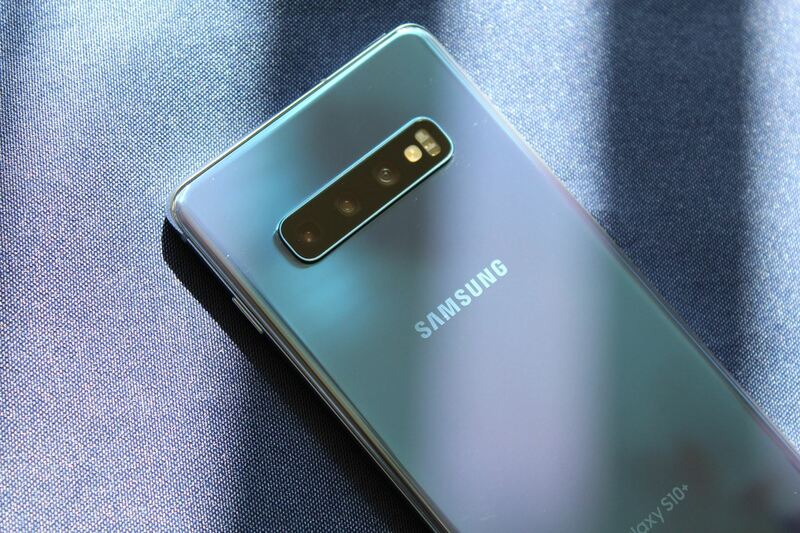 This image sensor enables the Galaxy S10+ to measure the differences between adjacent pixels, allowing a single lens to perform dual-camera effects such as portrait mode. This same technology is present on both the front-facing and rear-facing cameras. Additionally, the front-facing camera is supported by an RGB depth camera. The result is better imaging whether you're taking a well-lit selfie or an action shot. 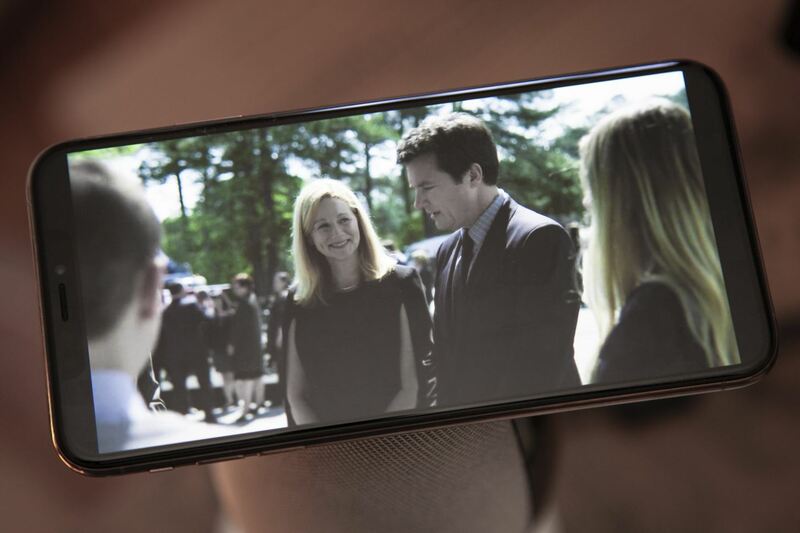 And for the first time on a Samsung device, the front-facing camera can capture 4K video for improved clarity. Besides its fantastic cameras, what makes the Galaxy S10+ so great for traveling is its ability to charge other devices wirelessly. As long as the other device supports Qi charging (the standard used by the vast majority of devices with wireless charging, including iPhones), you can use the S10+ as a wireless charger by placing the other device on its back cover. This feature gives you genuinely useful options, particularly in situations where a friend's phone is dying or your wireless earbuds are low on juice. Samsung also offers the best phone tracking tool in case you lose your device on a trip. Find My Mobile beats Android's default Find My Device service and Apple's Find My iPhone in key areas like the ability to remotely back up your latest data to the cloud, pull copies of your call logs and text history, and even enable battery saver mode to extend your ability to track the device when it's lost. The Galaxy S10+ is an impeccable device and has set a higher mark for phones in 2019. With a 1 TB storage option (with support for expandable storage), IP68 rating, and support for Wi-Fi 6, it can replace quite a few other electronics when taking a trip. While its lack of dual SIM in the US model does hurt, its broad support of LTE bands and GSM frequencies should allow you to pop in any number of international SIM cards for data plans, with the only inconvenience being that you have to remove your US SIM card first. While it is the second most expensive phone on our list, for what you are getting, it's definitely worth it. Starting with the OnePlus 5, OnePlus decided to stop selling country-oriented variants of their phones. Instead, they focused on one global version with variants only based on RAM and internal storage options. While this did change again with the OnePlus 6T (which got official T-Mobile support with a separate variant), the unlocked variant continues to be one global version. Whether in Europe, China, India, or the US, you are using the same version of the OnePlus 6T, and that comes with some benefits. Specifically, US customers now get access to a dual SIM phone, a feature which is usually omitted here. Because the OnePlus 6T is a global phone, you can be sure it has the cellular bands to work in any country. The 6T supports the highest number of LTE Bands on our list at 27. Wherever you travel, you will be able to use LTE service, as long as your wireless carrier is offering it in that area. This also gives you flexibility, as instead of paying for minutes and text messages, you could opt for a data only plan and use VoIP and messaging services to communicate with others while abroad. Then there's the dual SIM feature. Only a handful of phones in the US support this functionality, with most phones reserving this feature for the international variant. With dual SIM, you can use a second wireless carrier (with more favorable international rates) for trips aboard without having to remove your SIM card. Additionally, if you want to use a US carrier SIM for calls at home and another for data service while away, you can keep both and manage how the phone controls each SIM. For example, you can have SIM 1 receive calls and texts but no data, while SIM 2 receives data but no calls or texts. The OnePlus 6T also has one of the fastest charging systems implemented in a phone. With its 20W Fast Charge, it can charge the 3,700 mAh battery from 0–100% in a little over an hour. However, with such a large battery (and OnePlus's aggressive RAM management), you can get away with 50% and still have enough juice for the rest of the day, as the OnePlus 6T has the highest tested battery life of the phones on our list. While its camera isn't as good as some of the other options, it's more than capable of capturing your memories. However, with its dual SIM and high LTE band account, it's difficult for us not to recommend this phone for those making a few trips this year. It will last you all day, charge quickly at night, and help you get around in a country which uses a language you are not accustomed to thanks to Google Assistant. And, at a price tag of $549, it's almost half the cost of some of the other options on our list. While easily the most unpopular phone on our list, the LG V40 ThinQ has a lot to offer for travelers. Thanks to its deep integration with Google Assistant, including a dedicated Google Assistant button, you can easily translate a menu or figure out what someone is saying to you. With its IP68 rating and MIL-STD 810G certification, it has the highest chance of surviving any environment. And with its focus on videography, you can capture pro-quality video to edit on the plane ride back. With the V40 ThinQ, the benefits start as soon as you leave. As you travel on your vacation or business trip, you can take advantage of the 6.4-inch QHD+ display. This is a POLED panel, but the second iteration and not plagued with the same burn-in issues as the Pixel 2 XL and LG V30. You can storage quite a bit of video for the trip as well thanks to its microSD support. With 1 TB memory cards now an option, you'll never have to worry about running out of space for your favorite movies or TV shows. With its 3.5 mm headphone jack, you won't have to charge a Bluetooth headset. This is also an enhanced headphone jack, thanks to its Quad-DAC, which improves the listening experience as it can drive more powerful headphones. For those looking to watch videos, there is support for DTS:X Virtual Surround Sound, a feature which emulates the effects of a 5.1 surround system using your headphones. When you reach your destination, Google Assistant is one button away. With one click, you can pull up Google Assistant for directions, information, translation, and much more. Prefer to use your voice? 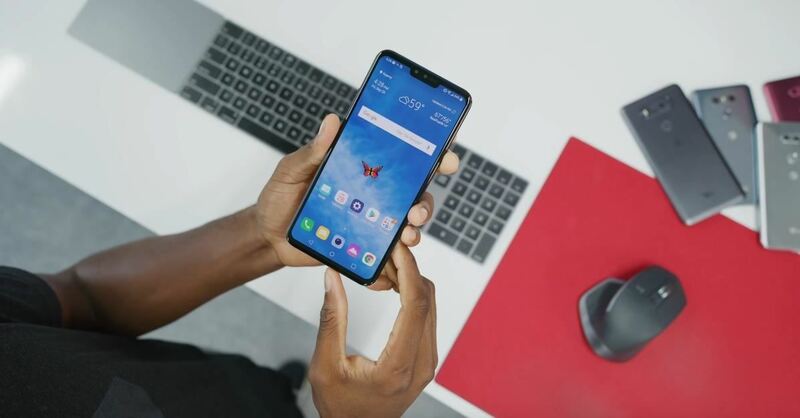 The LG V40 ThinQ includes Super Far-Field Voice Recognition, a technology which allows your phone to detect your voice even in noisy environments up to 16 feet away. While its super wide-angle and telephoto cameras are impressive, the real star of the show it is video recording ability. The V40 can capture up to 4K at 60 fps. Video can also be captured in HDR10, and the phone includes OIS and EIS support for steady video. There's a manual mode which gives as much control as a manual mode for photos, letting you adjust your video as if you were using a professional camera. You can even use Point Zoom to have the footage slowly zoom into a specific area of the video to highlight something. LG V40 ThinQ is an excellent option for traveling thanks to its versatility. With its IP68 rating, it will be able to handle a trip to the ocean or the mountains. Thanks to its military certification, MIL-STD 810G, it can handle the harsh of the environment. While its battery life isn't the greatest, it does offer fast charging via Qualcomm Quick Charge 3.0 to get you back up and running in no time. For those going a trip with a long journey, you won't find many phones that offer a more enjoyable ride. The gap between first and fourth place is minimal compared to comparisons we've done in the past. While other phones on our list offer an overall better package for traveling, the Google Pixel 3 XL isn't far behind. With the Pixel 3 XL, you will have a class-leading camera, deep integration with Google Assistant, and unlimited Google Photos storage. And all of this is offered at the second cheapest price on our list. The Google Pixel 2 XL had arguably the best smartphone camera at the time of its release, and its successor continues this tradition. According to DxoMark, it has the highest photo score for any single lens camera (tied with the Apple iPhone XR). Unlike the other phones on our list, it uses a single lens to provide all the same features, including portrait mode. Features such as Top Shot and Night Sight help it stand out among the crowd, with the former choosing the best of a series of photos using machine learning and the latter illuminating even the darkest of pictures. Even with its lack of a telephoto lens, it still manages to provide you quality zoom thanks to Super Res Zoom. New to the Pixel lineup is the addition of a second front-facing camera. This second camera is wider, allowing you to include even more of your friends in the photo without having to position them awkwardly. While the video is limited to 1080p at 30 fps on these cameras, it still manages to achieve a reasonably high score of 83 from DxOMark thanks to its low noise level and accurate face exposure. Speaking of video, according to DxOMark, this is the best performing video camera on a smartphone with a score of 98. With its effective motion stabilization, HDR, and excellent noise reduction, the Pixel 3 XL can outperform smartphones with two or even three cameras. 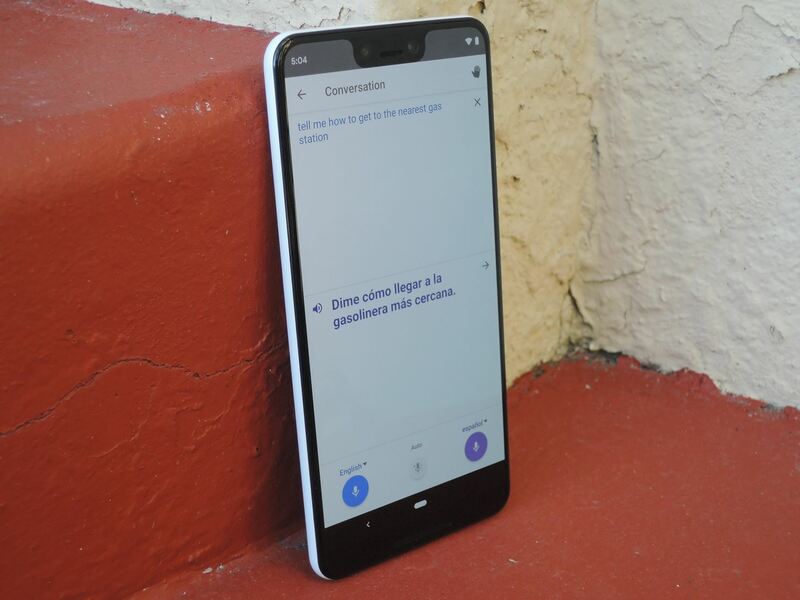 With this being a Google-developed phone, it comes with most of the Google-developed apps, including Google Assistant and Google Translate. One of the best features for international travelers is Google's Interpreter Mode. 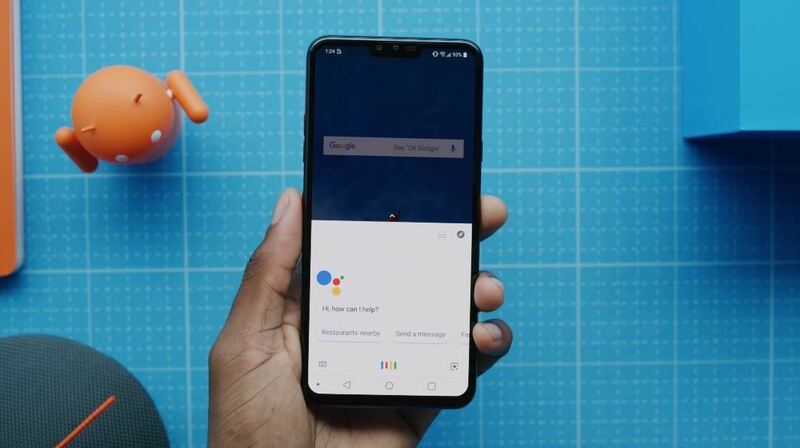 This feature, which you can pull up using Google Assistant, let you conduct a real-time conversation with someone else who is speaking a different language. There is also Google Lens integration in both Google Assistant and the camera, which lets you translate anything in your viewfinder including streets, store names, menus, and much more. If you get this phone on Google Fi, Google's MVNO service, you can enjoy one of the best international plan rates of any US carrier. Unlike the major carriers, Google Fi let you use more than 0.5 GB of high-speed data for free while in 200+ supported countries, paying the same as you would in the US. Text messages are unlimited, and voice calls are $0.20 per minute, but you can use Wi-Fi calling for free. While this same plan is available on other devices, the Pixel 3 XL is one of only a few Fi-certified phones, ensuring you have no issues. So why is such a great phone listed fourth on our list? For one, its storage is limited. Internal storage is limited to 128 GB (lowest on our list) without the ability to expand via microSD card. Even with all the advances of Super Res Zoom, the lack of any optical zoom does hurt the camera's capabilities, as optical zoom is essentially lossless while Super Res Zoom is trying to compensate for the degrading found in digital zoom. And finally, battery life isn't the greatest. Despite having the third largest battery, it has the second lowest battery life. Despite its shortcoming, the Google Pixel 3 XL is an excellent choice for travelers. With adequate Wi-Fi, you can take advantage of unlimited full-quality Google Photos storage to work around the low internal storage. It takes some of the best pictures of any of the phones on our list with only one lens, and it's the second cheapest phone on our list. And its deep Google Assistant integration makes it perfect for international travels, as it can act as your interpreter for supported languages. We couldn't make a list without including the latest and greatest from Apple. With the iPhone XS Max, its inclusion has less to do with the power of the phone and its amazing display and more to do with its support for dual SIM, making it perfect for international travelers. Combine this with its support for QZSS, the GPS navigation system in the Asia-Oceania region, the iPhone XS Max is an excellent choice for those not wishing to switch to Team Android. The iPhone XS Max has the second highest LTE band support at 26, only behind the OnePlus 6T. While the iPhone does have one band not supported by the 6T (Band 14), it lacks support for bands 28 and 46. However, with so many frequencies, traveling to different countries and regions is easier, as you can be sure to not only have support for LTE but strong signal. For your travels, the iPhone XS Max has the largest display available on our list at 6.5 inches. Such a large screen will help you when using the GPS to navigate to an area, and flight attendants can easily scan your electronic boarding pass. Once you're on the plane, you can be sure you will have more than enough battery to watch a few downloaded movies on Netflix or listen to music, as Apple's iPhone has the second highest battery life. Once you arrive at your destination, you will want to start capturing the memories, and there are few cameras better than the array on the XS Max. On the rear are two 12 MP cameras, one wide-angle and one telephoto. This combination provides up to 2x optical zoom and 10x digital zoom, allowing you to get that far away shot without needing to move up. This camera managed high marks in DxOMark's testing, receiving a 110 photo rating and 96 video rating. On the front, there's a single 7 MP camera enhanced by Apple's TrueDepth sensors. These sensors can track your face thoroughly, improving the quality of filters for those Snapchat videos you just have to take while on vacation. And thanks to the security of Face ID — which has a lower false positive rate than any fingerprint scanner — you can be sure that you and only you will be able to unlock your phone. This even includes while you sleep, as the biometrics require your eyes to be open. This year, Apple introduced dual SIM functionality. This makes it one of only a handful of US phones which include the feature and one of only two on our list. 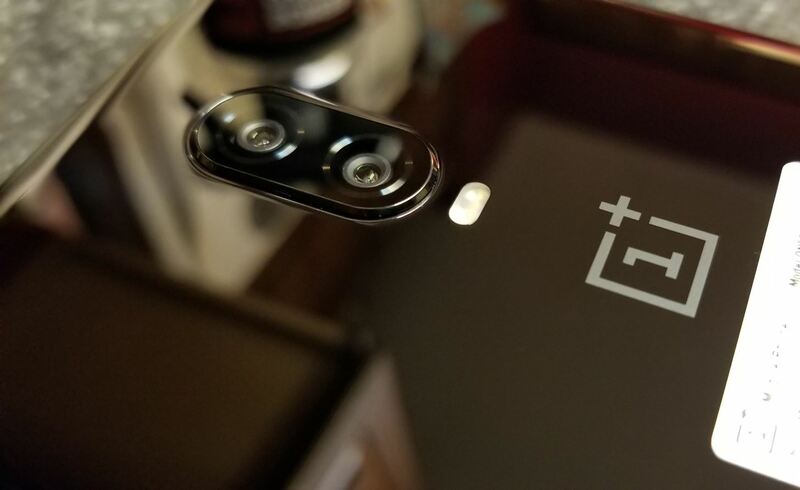 However, unlike the OnePlus 6T, the second SIM is an eSIM. While this version of a SIM card is the future, not every carrier supports it, which can make finding an international carrier a bit of a problem. If you want to use this feature, we recommend using your primary (US) carrier with the eSIM to avoid this. Additionally, the dual SIM capability comes with some caveats. For example, the phone has to be GSM unlocked in order for you to use SIM cards from two different carriers, a must for international travelers. Second, if you are using a CDMA carrier (Verizon, Sprint, or US Cellular) on one SIM slot, the second slot won't support CDMA, leaving you either with only GSM carriers or LTE-only plan on the second SIM. While neither limitation is a dealbreaker, these problems don't exist on most Android-based dual SIM phones. The biggest issues with the Apple iPhone XS Max are the price and the difficulty of enabling an always-on VPN. At a starting price of $1,099, it is easily the most expensive phone on our list, nearly 100 dollars more than the more recent Samsung Galaxy S10+. This makes it a hard buy for some looking to purchase a phone for traveling, where theft, loss, and damage are bigger risks. Fortunately, if you don't mind giving up the 6.5-inch screen, you can opt for its little brother, the iPhone XS, which has a 5.8-inch display but virtually all the same specs. However, the limitation of the VPN is a limitation of its operating system, iOS, and can not be changed. While you can use a VPN app normally by using the app to connect to its server, you won't be able to automatically have your iPhone connect to the VPN servers every time you connect to the web. This feature is known as Always-On VPN, and while it can be enabled on the iPhone XS Max, it requires you to turn on Supervised Mode, which isn't the easiest thing to do. But, if you can remember to always turn on the VPN and to watch out for the occasional drops, you can be protected abroad when using Wi-Fi at the hotel and the airport. For those who love Apple, upgrading to the latest and greatest will improve your travels. With Face ID, dual SIM, and its strong LTE support, you can bring your iPhone wherever you go and not only be able to use it, but be protected when doing so. Ultimately, there are better options on the other side of the mobile pond which all include their fast charger in the box, but for those that don't mind the high price tag, this is the best choice offered by Apple, and a worthy entry on our list. The differences between each phone on our list are minor when it comes to enhancing your travels. While features such as dual SIM are limited to only two devices, you can always choose to buy the international version for the capability (but you will more than likely lose any manufacturer's warranty). Each phone is well protected against drops and spills, has extensive LTE reception, shoots amazing photos and videos, and brings something to the table to justify its inclusion. Ultimately, we ended up choosing the Samsung Galaxy S10+ because not only is it a powerhouse of a phone, but it's amazing for travels. At its entry price of $999.99, you can get a phone with 8 GB RAM and 128 GB storage with support for microSD cards. 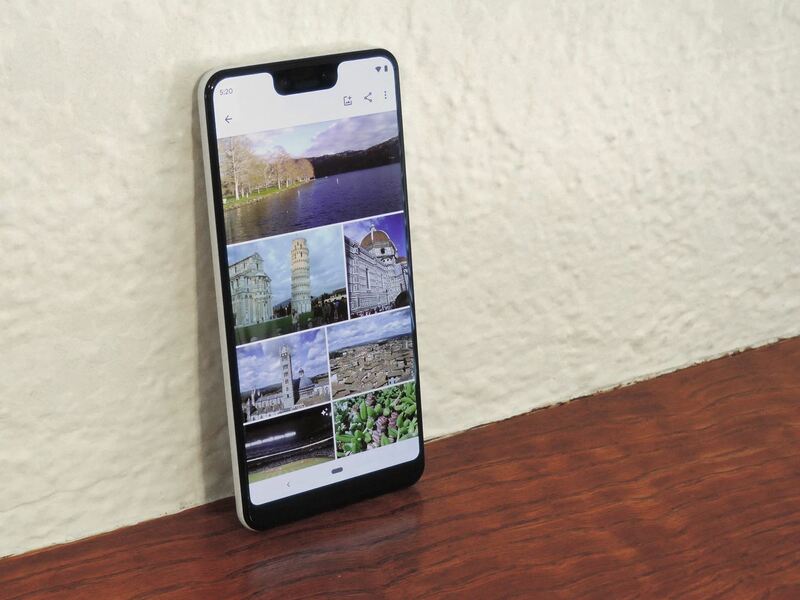 But for $600 more, you can upgrade to 12 GB RAM and 1 TB storage for not only a fast phone, but one you will hardly ever need to erase a photo on (especially since you can always increase its storage with a microSD card). You also get a slightly better anti-theft protection with Find My Mobile, fantastic battery life, and the ability to charge other devices wirelessly.